Computer Support Gloucester Gloucestershire - System Force I.T. maintenance in the Gloucester, Gloucestershire area. System Force I.T ‘s main service center is located at Unit C1 Brearley Place, Baird Road, Waterwells Business Park, Quedgeley Glos – GL2 2AF – Which is Junction 12 of the M5. 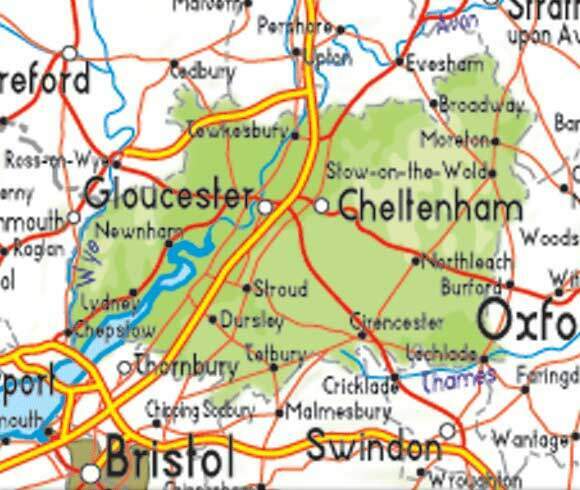 Which is an ideal location to support companies in and surrounding Gloucestershire. System Force is approximately 3.8 miles from Gloucester city center making it fast and efficient to get to the city either via the A38 or the Gloucester bypass. With some of the engineers for System Force living locally (Quedgeley Gloucestershire, Tuffley Gloucestershire, and Churchdown Gloucestershire) we have the whole of the Gloucestershire County covered, as well as access north and south bound to the M5 – Which gives us great access to get to other places Like Cheltenham, Stroud just to name a few. System Force I.T. work as part of your organization, both in getting to know your work ethics all the way to building personal relationships with your staff. This enables us to not just be “that external IT support and maintenance company” it allows us to be “our IT support and maintenance company” which in turn gives you better advice and a service tailored to your particular needs that best fits your organisation. Our IT support and maintenance services can fit into almost any organisation – From companies that have no internal computer support to those with dedicated team of computer support employees. We work with you and your staff to make sure that your business benefits from the computer systems and the hardware and software that you have is not seen as the magical hole where loads of money disappears. System Force prides its self on the customer focused and reliable support ethics and attitude that all of our team members have. Our support services are designed for customers from one computer to 100’s of computers, our systems are designed to be effective 100 % of the time. This allows us to be effective no matter what the problem is. As a part of our contract with our customers we monitor the customers servers and network for potential problems. The monitoring systems that we use can monitor anything from the CPU usage to the temperature in the room where the server is sat – and the same goes with most other equipment. 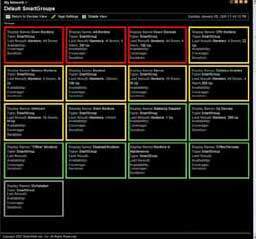 Using the monitoring it allows us to build up trends of how your server is working and providing the valuable services to you and your team. When the system detects something out of the ordinary our team of expert engineers are alerted and straight on the case. With our remote computer support systems we can connect to your systems, whether your systems contain a server or not, meaning that if you are away from your office we are able to help you virtually anywhere in the world. Even if you don’t want a support contract, we are happy to give our advise and complete works on an ahoc basis we don’t penalize anyone for not having a contract – we have been know to help people who are contractually obliged to other competitors that have been unable to resolve and issue. With the competitors permission and supervision we have accessed the systems and solved the issue. Server and PC Health Checks can cause disruption and prolonged downtime, but using System Force I.T and their ability to access your network remotely, downtime will become a thing of the past; with out of hours network and system checks our preventative maintenance cures problems before they exist. “I would recommend System Force I.T. to anyone who depends upon their I.T. infrastructure, the guys are friendly and extremely reliable. If an on-site visit is required, an engineer will arrange a convenient time and date to attend site. At the end of each service, the engineer will complete a service record form, which will confirm the original problem, findings on investigation, corrective action taken and any further recommendations. Passwords Passwords Passwords – Change Yours NOW !